Sandefjord Fotball moved from their old stadium, Storstadion, to Komplett Arena in 2007. 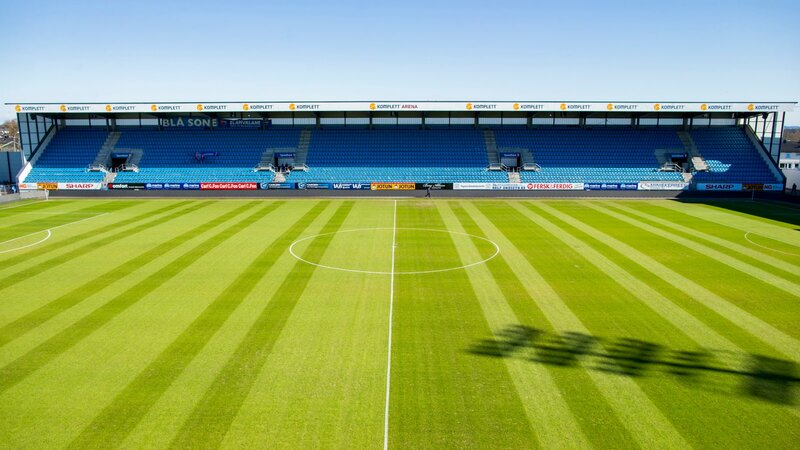 Komplett Arena (formerly Komplett.no Arena) is Sandefjord Fotball’s stadium. It was opened on July 21 against Lyn Oslo. The stadium has a capacity total of 6 582, all under roof. The south stand was finished in 2017 with 600 standing places for the away fans. The current attendance record was set at the opening match against Lyn, with 8 103 people attending. Kari Arkivuo was the first goal scorer at Komplett Arena when he scored from five meters in the 18th minute. Sandefjord beat Lyn 3-0 in the opening match. The pitch is natural grass.